Well, for many of the game lovers, Nintendo DS was probably their most favorite handheld gaming console with some amazing games. iOS users got a taste of playing the classic Nintendo DS games on their iPhones and iPads, however, with the release of iOS 8+, the Nintendo DS emulator was pulled off from the market. But here we have come with great news. The Nintendo DS Emulator is back again in the form of NDS4iOS, which means you can still play all those old classic Nintendo DS games on your iOS device running the latest iOS version 11. 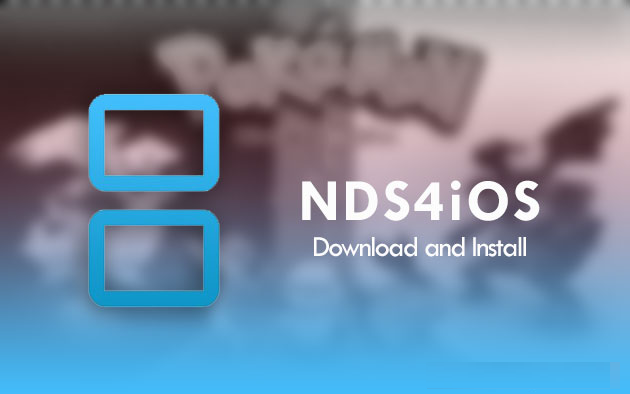 We will offer you the complete steps to download and install NDS4iOS iOS DS emulator without jailbreaking your device, as there are many folks who don’t generally like jailbreaking. Nintendo DS was and it still is one of the best handheld game consoles that every gamer loved. The potential with NDS4iOS is limitless and it brings more quality than any other emulators. It brings you the full gaming library of the popular Nintendo DS to the Apple mobile devices. The user interface of this app offers better graphics than any other emulators available in the market. It is easy to use and offers the old classic and the latest games. It is a major competitor of the GBA4iOS Game Boy Advance emulator. 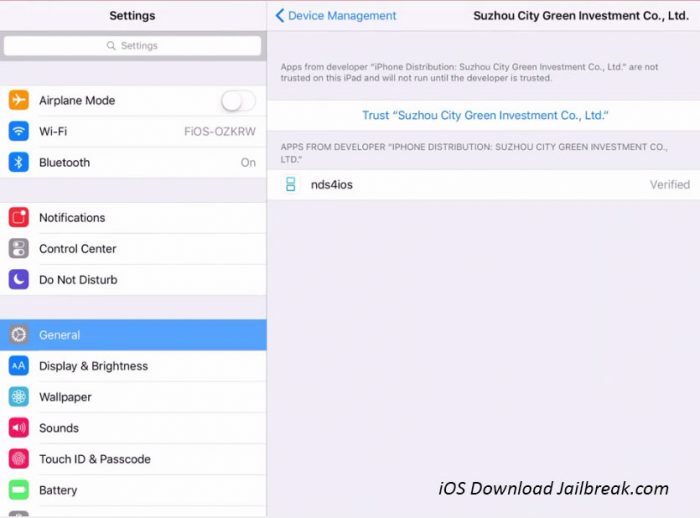 Now, here are the steps for downloading and installing NDS for iOS no jailbreak. Now, you will see that there is an Install option. Tap on it and you will get a message that notifies you about the download of NDS4iOS. You have to tap on the Install button again. The download of NDS4iOS starts and you will have to wait until the process is complete. This will take a few minutes depending on your internet connectivity. After the download is complete, you will see the app on your home screen. But before running the app, you need to go to your device Settings >> General and click on Profiles. In the profiles section, you have to search on the one that was added newly. It starts with “Suzhou City..”. 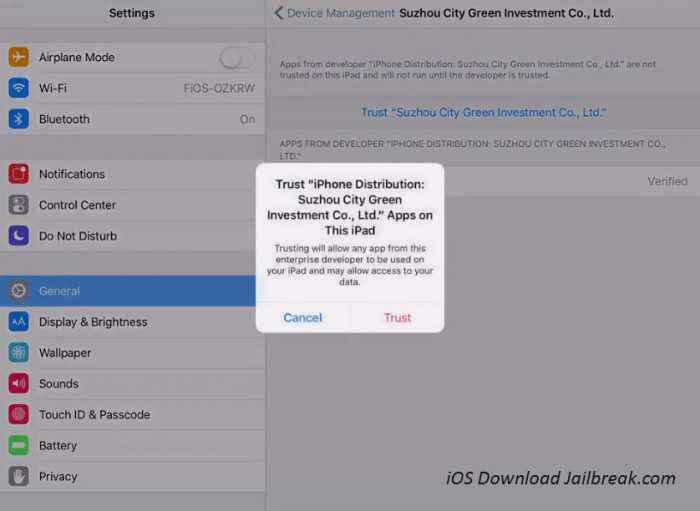 Click on it and tap on “Trust” option. Tap once again for confirmation. That’s it. 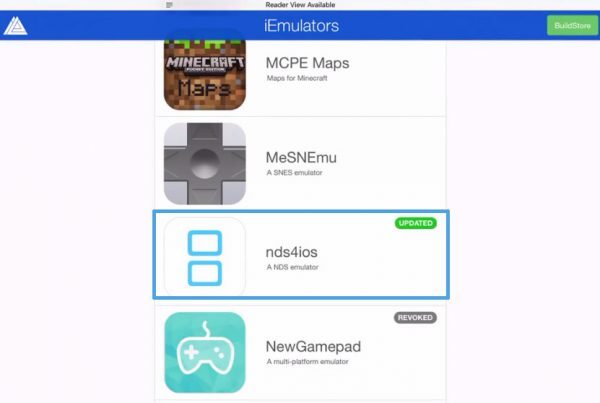 You are done installing the NDS4iOS Nintendo DS emulator for the iDevices no jailbreaking. First, search for ROMs of your favorite Nintendo DS games from Google and download them on your PC or Mac. Next, connect your iPhone or iPad to your PC/Mac and then launch iTunes. Scroll down the page to find File Sharing Open NDS4iOS. Now just drag and drop the downloaded ROM into this directory. Launch NDS4iOS and you will see the game playable. Here NDS4iOS and Roms Download and Install Apps Free in Purchase. Please let us know of any issues that you may face in the comments section below.